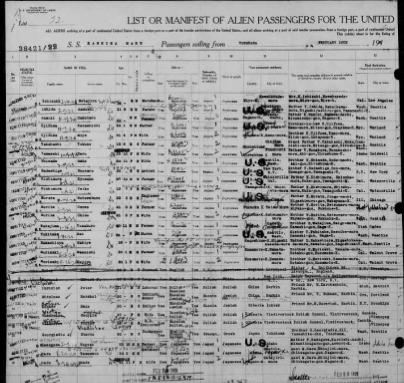 FamilySearch.org has a FREE database titled "WASHINGTON, SEATTLE, PASSENGER LISTS, 1890-1957". It includes 1,094 passengers who listed GREECE as their place of birth. You will have the ability to search and view the actual passenger lists online. This collection consists of passenger and crew lists for those arriving in Seattle, Washington. It corresponds to NARA Publication M1383: Passenger and Crew Lists of Vessels Arriving at Seattle, Washington. The collection covers the years 1890 to 1957.